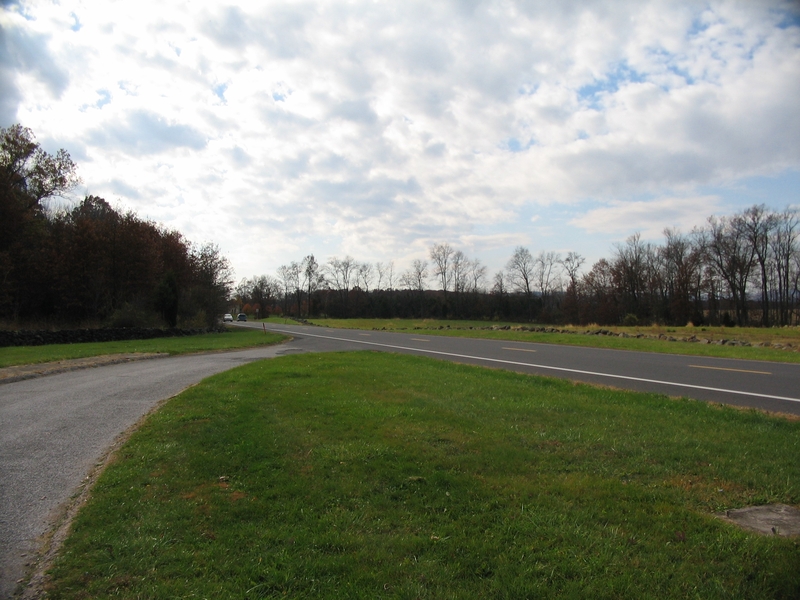 Additional Description: Looking south on Emmitsburg Road from the Battlefield's south information center. The rifled section was likely deployed in what is today a wooded thicket south of the information center, close to the road. From that position, the rifled guns opposed the advances of dismounted Union cavalry under General Merritt. Submitted: January 20, 2009, by Craig Swain of Leesburg, Virginia.